I wanted to create a website for other tired moms, who need a little inspiration and motivation. I wanted that mom-to-mom connection. 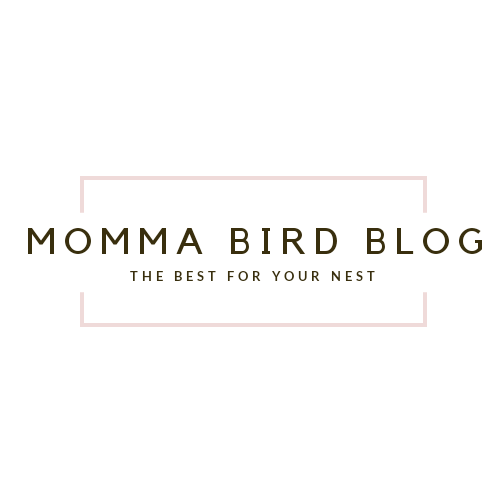 So, Momma Bird Blog was born! I would love to impact other parents! Other moms, especially! So, I was really touched when I was recognized! Thank you, Tomashia, for nominating Momma Bird Blog for The Liebster Award! The Liebster Award exists only online and is given to bloggers from other bloggers. Awards have been given since 2001. I live in a testosterone-filled home. Although I’m outnumbered, I enjoy my boys! As you can probably tell by the gardening metaphor in the beginning, I do, in fact, love to garden. That once started as a way to deal with my husband’s deployment, and now we do it together as a family every year. Through the generations, I am the 7th Anna on my dad’s side. I knew something was different about my husband when I met him. Nature is my happy place (whether in a woods, at the lake, or in my backyard). Lemons are my favorite fruit. I know- that’s weird. I love photography. My lens perspective mixes with my perspectives on life. I’m frugal because I am a Stay-at-Home Mom. Two of my favorite pasttimes with my boys are reading to them and dancing with them. I still hold true to my teenage dreams. I will travel around the world someday. Although the destinations have changed from big cities to small countrysides. “Just be you.” Growing up that was hard. I felt like I had to impress people for the longest time. Then, once I started being more true to myself, I started attracting the right people. My Mom inspires me despite her memory of raising me and my siblings. She’s always been loyal, caring, and patient. But more so; she’s a great listener, loves to have fun, loves to treat us and the grandkids, is willing to help us with anything, and doesn’t expect anything in return. She’s shown me a great example of how to be a Mom and a caring person in general. I de-stress by talking with my husband or someone I care about. Sometimes relaxing music or a hot shower help too. I try to keep the clutter out of our bedroom so I sleep next to a framed picture of our boys, an alarm clock, and my cell phone. An apple. They’re healthy and aren’t messy in the car. I’m more of an introvert. I’m not shy. I actually enjoy chatting with people and don’t mind giving speeches. I just like 1-on-1 time over a crowd. At the end of the day I like to unwind by being alone with my thoughts for a bit. Beer tasting followed by the evening beach scene; walking the shore and watching the sun go down. I would love to have dinner with Joanna Gaines sometime! We would connect well since we are both Christian wives and mommas. She seems like such a thoughtful, down-to-Earth person. And I’m also sure I’d learn a lot from her as well! Although traveling has been one of my longest-lasting bucket list items, I just want to pay-it-forward. So many people have been good to me and my family! From doctors, nurses, friends, family, and even our church community. I just want to impact other people’s lives in return for our blessings. I love connecting with and impacting other Moms. This has got me out of some mom-funk because I can see my challenges as a positive turn-around for someone else. Savannah Espositio (and team) from Millennial Mrs. and Mom, “Psychology, the secret weapon to living life.” Millennial Mrs. and Mom cares deeply about relationships and the way they work. The blog explores topics like marriage, parenting, and families. One of my favorite posts is “The Small Moments that Make or Break Connection.” Check out the blog for tons of other useful relationship advice! Nicole from Coffee and Carpool, “Mom Hacks, School Success Tips, & Support for Parents On the Go.” She is a “recovering elementary school teacher” and is also a Special Needs Mom and a Food Allergy Mom. I absolutely loved Nicole’s recent post, “How to Raise a Kind Boy Amidst the Tough Guy Boy Culture.” <<Check it out! Natalie from Moms and Kids Creating Memories, “Making the most of the time we have with our kids.” Natalie writes about kids crafts, and motherhood. One of my favorites posts from Moms and Kids Creating Memories is, “3 Mom Fails and Fixes.” Natalie talks about ways to simplify motherhood and I love that she talks about wanting her children to grow up loving God and serving/loving others. Amy from The Thoughtful Parent, “Research Based Child Development.” Something that drew me into The Thoughtful Parent blog was “Gift Guide for Raising Kind Kids.” I just love the idea raising our families in a more mindful process and caring for each other.